The 10th conference of the 10th HCMC Party Committee's Executive Board today opens, discussing measures to assist businesses’ development investment. 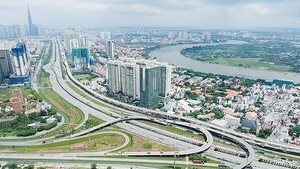 In addition, the conference will report socioeconomic development in the first half this year and missions in the second half, public investment plan in the phase of 2016-2020, five years of the Party Committee’s action program to implement the 11th Central Party Committee’s Resolution 13 on synchronous infrastructure development in the city. The conference will review ten years of implementing the Resolution 17 of the 10th Central Party Committee on stepping up administrative reform and improving the state apparatus’s management efficiency in the city, five years of carrying out the 12th Central Party Committee’s Resolution 4 on Party development and reorganization. According to city People’s Committee reports, the city’s economics continued growing higher than before. Gross Regional Domestic Product growth rate hit 7.76 percent, higher than 7.47 percent during the same period last year. Of these, services increased 7.4 percent accounting for 58.2 percent, industry and construction was up 7.2 percent making up 23.3 percent, agro-aqua-forestry sector grew 5.9 percent making up 0.7 percent. Total retail sales of goods and services were estimated to reach VND450 trillion (US$19.79 billion), up 10.2 percent. The city attracted 2.8 million visitors, a year on year increase of 14.7 percent, bringing VND53,617 billion ($2.36 billion), up 12 percent. Exports brought US$14.23 billion excluding crude oil value, raising 20.3 percent over the same period last year. Industrial production index increased 7.5 percent over the same period last year. The city has implemented measures to assist businesses to develop industrial products and support industry to meet market demand, create a bridge connecting support industry and manufacturing companies. 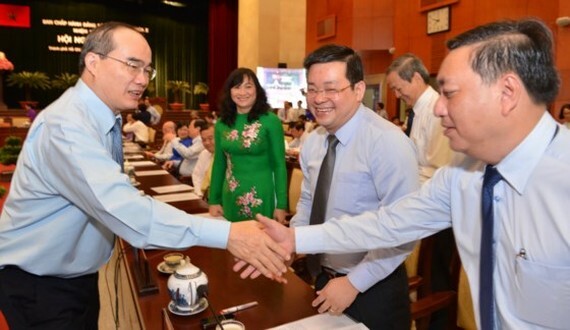 The city has also selectively called on investors to industrial parks and zones, built production connectivity areas, proposed to establish a support industry development fund to provide loans, financial assistance and credit guarantee for support industry projects.